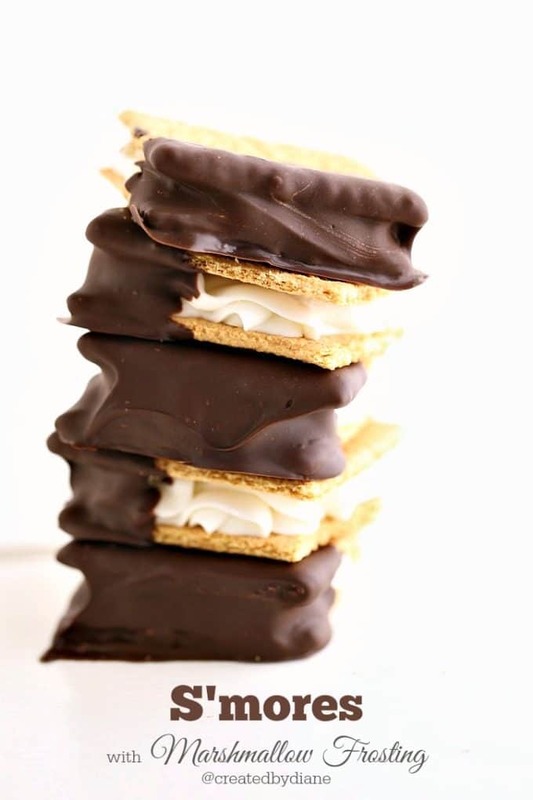 These easy make ahead s’mores will soon become a favorite, I’m sure of it! 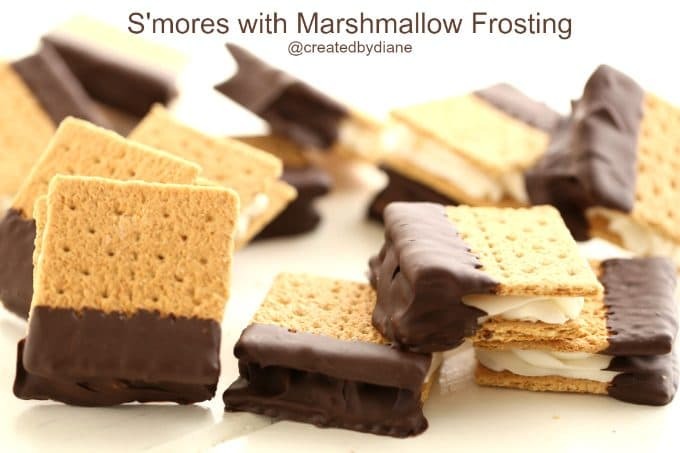 Once you see how EASY these are to make you will make them all the time. then dipped in melted chocolate. 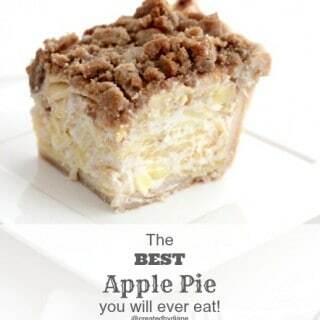 They are fantastic and you can make them ahead of time! BONUS!! I hid one in the fridge to see how long it would stay “good” for. I got hungry just thinking about it and ATE it on day 5, really one of these lasted in my fridge for 5 days… I think there may be an award in order for not eating it sooner! I also put one in the freezer, and WOW is that great too. These are going to be great at parties, especially GAME DAY there is no need to look away from the TV, just make these ahead of time and you’re all set. 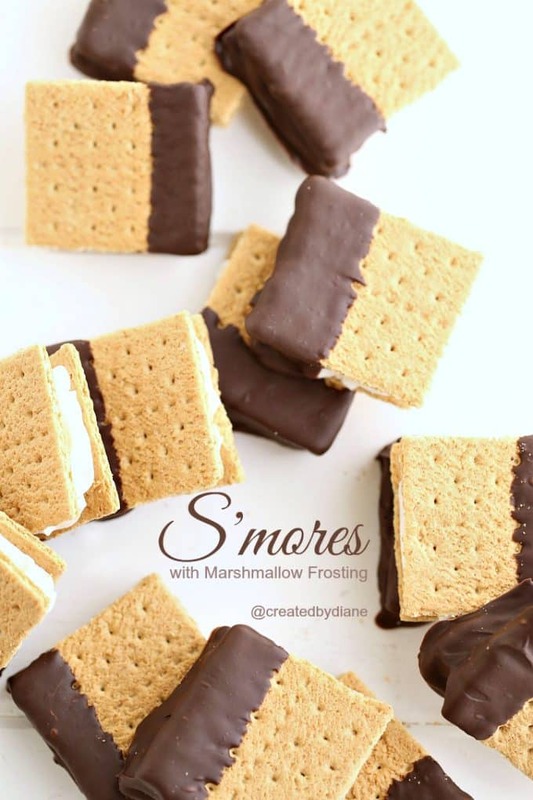 These are so great and I just LOVE that you can make them ahead of time! You can make batches of them and keep them in the fridge for snacking. 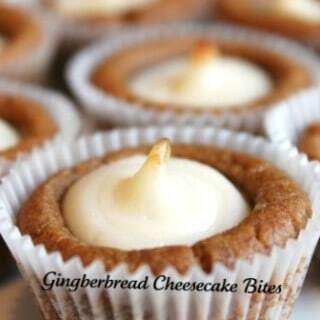 How great would it be to open the fridge and see these when you want a sweet treat. Line up the graham crackers, pipe the frosting onto the crackers, add additional crackers to create sandwiches. Melt chocolate and Dip one end of the sandwiches into the chocolate and then lay them on a parchment lined paper on a cookie sheet and place in the fridge to set up the chocolate. These taste great right out of the fridge or freezer or you can serve them at room temperature. for extra marshmallow flavoring, LorAnn's makes a marshmallow flavor you can add a few drops, but it's not necessary. In mixer bowl beat butter. Then mix in marshmallow cream and powdered sugar along with heavy cream and vanilla. 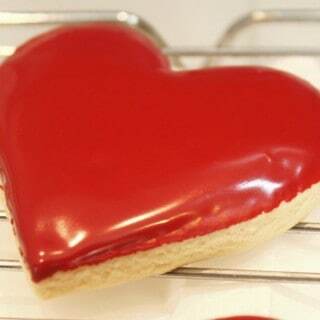 The frosting should be firm, so when piped onto crackers it does not slide off. 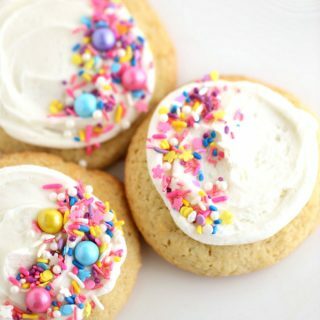 If it's really hot out or the frosting is on the thinner floppier side and in a ¼ cup of powdered sugar at a time and mix well until it's thick enough to pipe well. 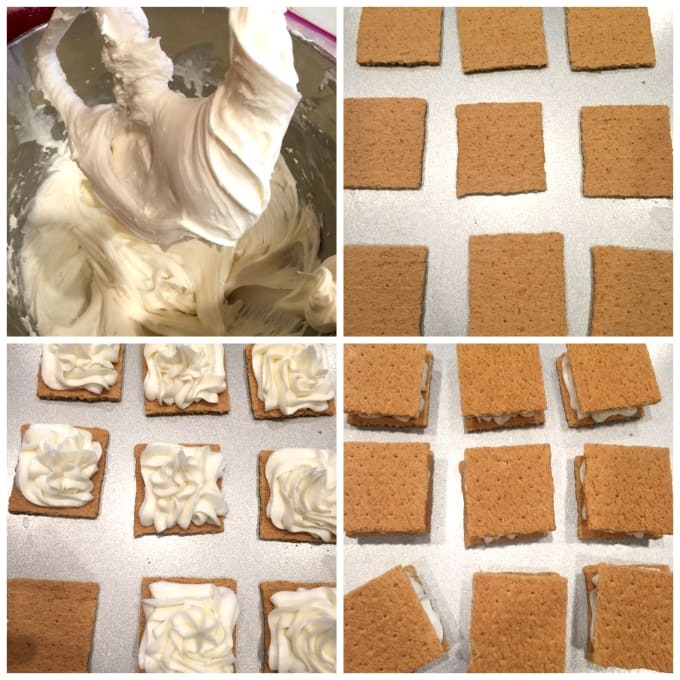 Pipe frosting onto 10-12 graham crackers, place additional crackers on top to create sandwiches. Melt 1 cup chocolate until it's completely melted and thin if it's not thin add a teaspoon of shortening to thin it out. Dip one end of the sandwiches in the chocolate and place them on a parchment-lined cookie sheet. Place them in the fridge for 10 minutes until the chocolate is firm. You can leave them in the fridge until your ready to eat them. You can also freeze them and serve them frozen. They do not freeze solid, you are able to bite into them out of the freezer. The stay well in the fridge for 5 days, so these are great to make ahead of time.